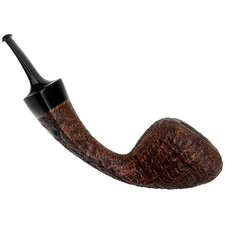 Clearly inspired by Danish forms, but with obvious Micah Redmond interpretation, this asymmetric Acorn is a remarkable composition with it's long under-curve extending from the end of shank to the rounded and forward-jutting rim. 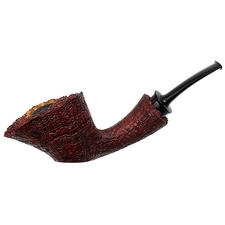 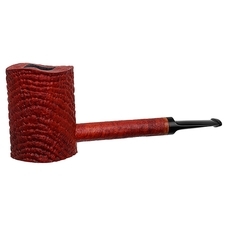 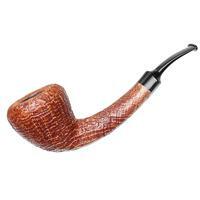 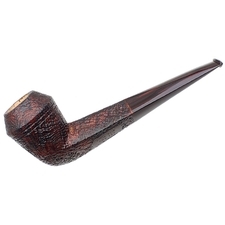 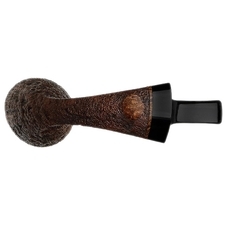 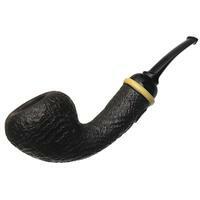 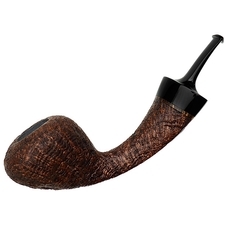 The ridge lines on the underside of the shank are crisp and blend smoothly into the bowl, all the while expanding from bowl to stem, especially from top and bottom, where the "V" shape is very prominently evident. 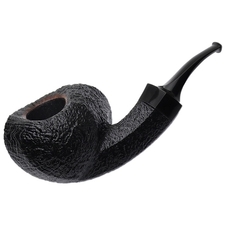 The design gives almost equal visual weight to the bowl and the shank, the end of which terminates with a wide stem immediately stepping down to the saddle configuration. 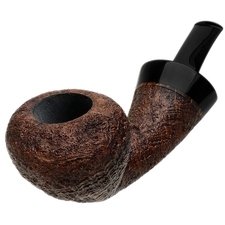 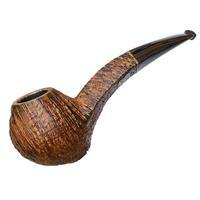 The sandblast is craggy and pleasing to the touch, emphasizing some excellent ring grain on the bowl. 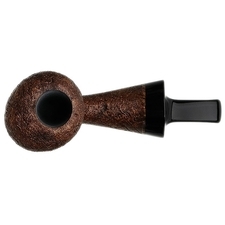 Where the asymmetry emerges is with the bowl, which is an oval that extends to the left. 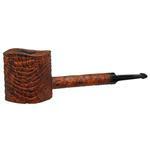 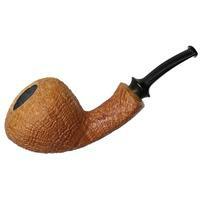 Strangely, this orientation makes the pipe especially easy to hold in either hand, and endlessly fascinating to examine.